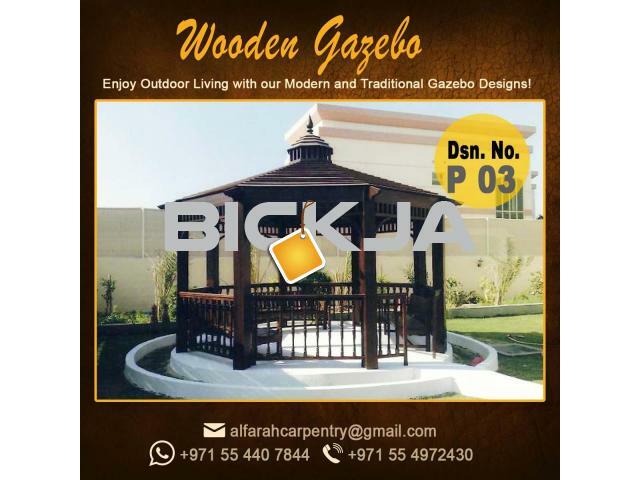 AL Farah carpentry professional's as design, manufacturing and Supply, Install the all kinds of wooden Gazebo in UAE , Clay Stone Gazebo , Clay Stone Roof Gazebo , Clay Stone Gazebo Abu Dhabi , Wooden Gazebo Abu Dhabi , Shingle Roof Gazebo , Stone Roof Gazebo Sharjah , Hexagonal Shape Gazebo , Gazebo Suppliers Dubai , Modern Gazebo , Gazebo Design in Abu Dhabi , Hard Wood Gazebo , Red Meranti Wood Gazebo , White Wood Gazebo , Gazebo Manufacturer Dubai , Gazebo And wooden decking and gazebos according to our client needs and preferences. 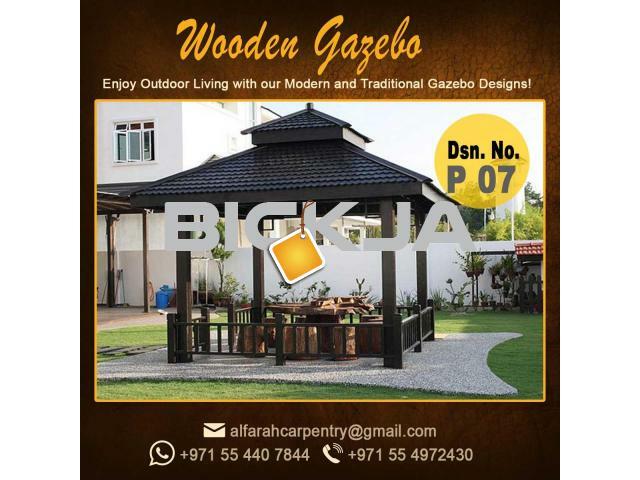 Clean atmosphere and fresh air with natural beauty. 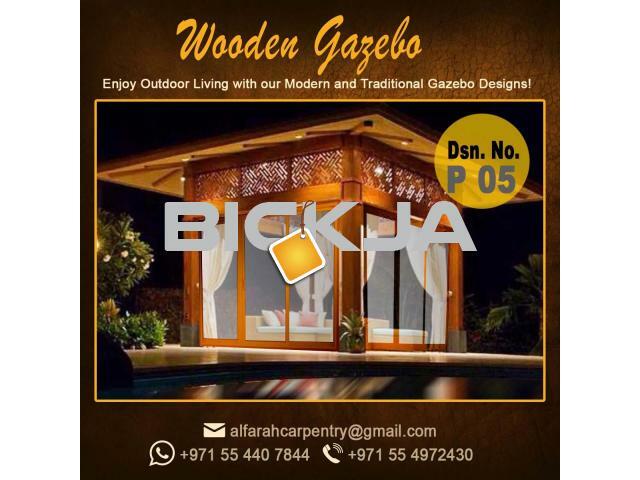 No compromise in the quality of wood. 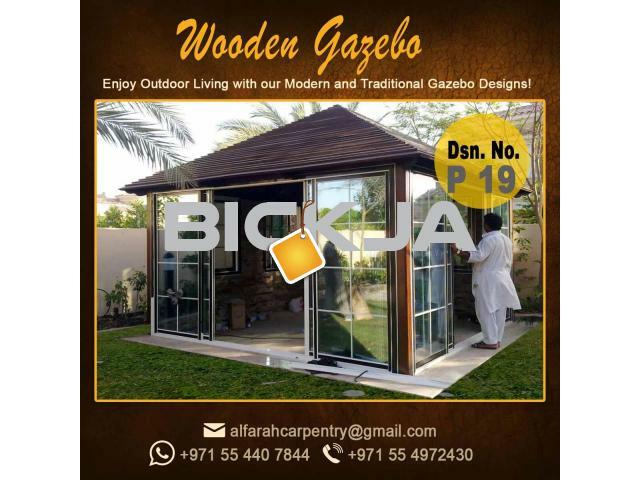 Good quality of wood is imported from India, Malaysia, and other countries. Proper air dried treatment before use to establish durability. Quality of sealer, stain, or paint is maintained for long exhibit. Maximum efforts to leave no knots and cracks in the wood.